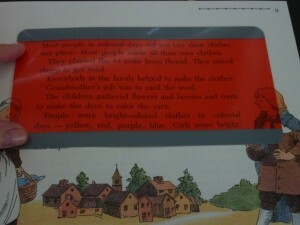 On one of my recent visits to the teacher store, I was in the literacy aisle and noticed that they had these colored reading guides. Reading Guides by Ashley Inc. These are a great tool to help children focus on what they are reading, really making the words stand out and reducing the amount of background distraction. 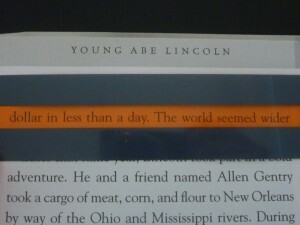 This small reading guide highlights single lines of text. 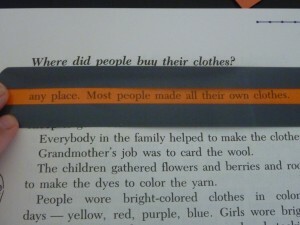 The reading guide blocks lines of text above and below. This big reading guide highlights paragraphs. 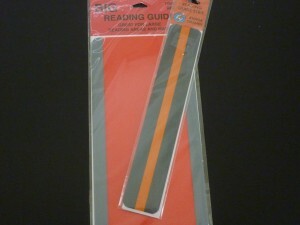 They come in lots of different colors which may make it a bit more fun and motivating for a struggling readers. I do realize this is not a totally new concept, someone just took an old idea and made it better! This tool just goes one step further than rulers, bookmarks or construction paper strips, by blocking out the lines above and below the line they are reading. I would always use bookmarks under lines of text that I was reading, especially when the material that was new or challenging. As a teacher, I would have my students use rulers, bookmarks or strip of colored construction paper, underneath the lines that they were reading to keep their place and help them focus. Wish I had these back then!! If your child struggles with reading, this tool could help! If you don’t have a teacher supply store nearby and are interested in this, here is a link to the reading guides on Amazon.